BBQ season is upon us. But any time of the year there is ambient weather, it’s always a treat to nosh on something from the grill. 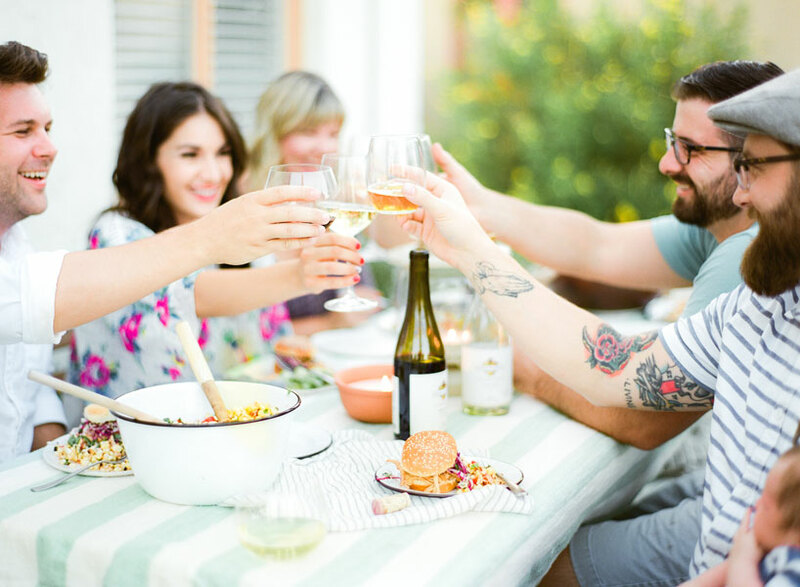 While it’s time to enjoy laid-back dining at the outdoor dining table, it’s not – as ever – a time for nose-dives on wine pairings. Where barbecued meats and sauces are concerned, red wine pairings rule. However, wine matches for lighter foods from the barbie include all possible variations of whites and rosés. Here’s your premier guide to pairing the best wines for a barbecue and serving them, too! Just about everything is possible on the backyard grill. 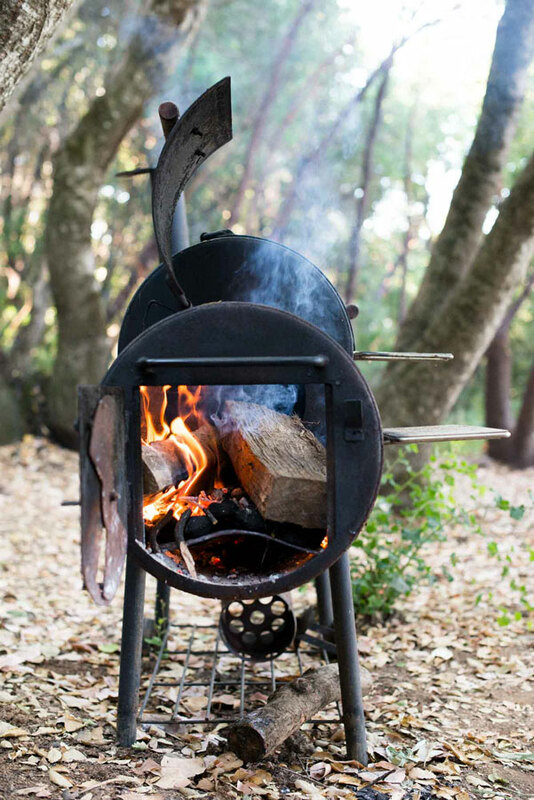 (By the way, don’t miss these tips on everything from grilled steak to grilled potato salad to how not to burn wooden skewers.) So, what wines do you drink at a barbecue? Other than the food to be grilled or smoked, the two main factors to consider are: 1) quantity of and length of exposure to heat and 2) sauces, if any. Grilling gives food more charred flavors from the hot - but relatively short -amounts of time that food is in contact with the heat source. 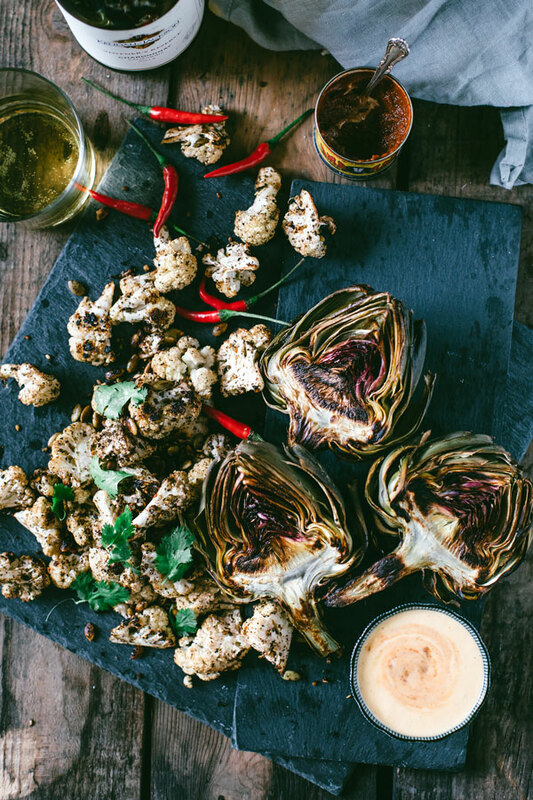 The more intense the food’s charred flavor, the better it will pair with wines aged in new oak. This is because new oak barrels are charred on the inside before wine is aged in them. Highly charred oak barrels can impart flavors like coffee, chocolate and toast. Smoking foods involves a longer exposure to high heat. This extended cooking period creates higher levels of the Maillard Reaction. The Maillard Reaction occurs when amino acids and sugars in foods caramelize due to the applied heat. These smoked barbecue foods tend to pair best with wines showing softer tannins and less overt new oak flavors. Unless you like the burnt ends, that is. If so, stick with the oakier wines! Sauces, however, change everything. Pairing barbecue sauces can mostly be divided into beef and pork style sauces. Beef barbecue tends to use tomato-based sauces and focus on spicy, peppery tones. Tomato-based BBQ sauces work well with Syrah and Rhône-style blends with Syrah, like the Grand Reserve Grenache/Syrah/Mourvèdre. Pork barbecue sauces are based on vinegar (Memphis- and western Carolina-style sauces also incorporate tomatoes) and lean to the sweet side. Less tannic reds with generous fruit flavors like Merlot and Pinot Noir are best bets for pork barbecue sauces. The exceptions are the sweet but tangy, mustard-based barbecue sauces of the Carolinas and Georgia. Mustard and red wine can be a challenging pair, depending on the other components of the particular sauce. Play it safe with bolder (that usually means more deeply-colored but still dry) rosé styles. 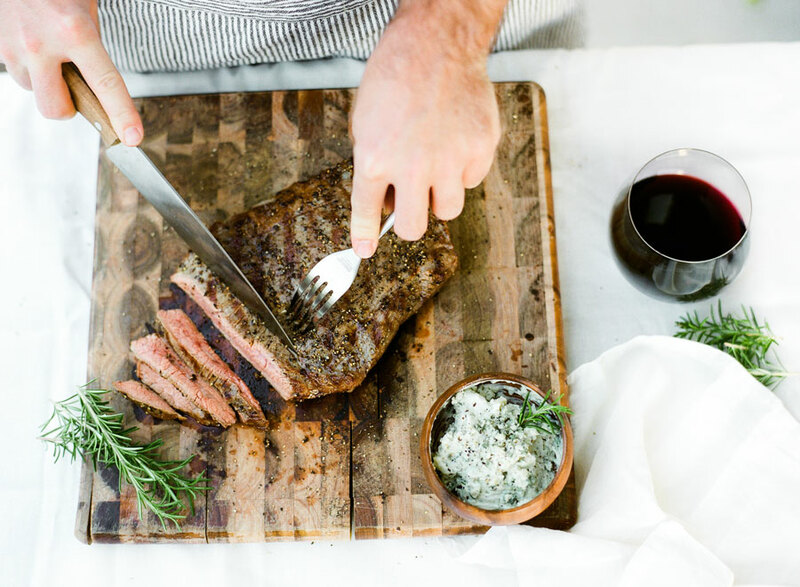 Another excellent wine for grilled steak, as well as these other crowd-pleasing beef options is Zinfandel, whose spicy, peppery flavors also blend nicely with the char of the grill. Also, Zinfandel is the best wine with BBQ ribs and chopped beef, especially if you always ask for an extra side of sauce! There’s one other fun red wine with brisket pairing that comes in handy if you don’t have a smoker or in the event of a rainy day. That’s braised beef brisket with red wine. If the braising sauce isn’t too spicy, stick with Cabernet Sauvignon. But know that, whatever you pour in your glass, you can trade down to a less expensive red wine for braising the brisket. Aside from the burnt ends, brisket often works best with rich, fruit-filled wines with lower tannins. While brisket is fatty, it’s also delightfully tender. That’s why you don’t need the tannins. Pinot Noir works particularly well because it has lots of vivid, cleansing acidity. In fact, it offers more refreshment than most other reds. Choosing the best wines for pork barbecue must take sauces into account (see above.) This is especially key when you are deciding what to drink with pulled pork. 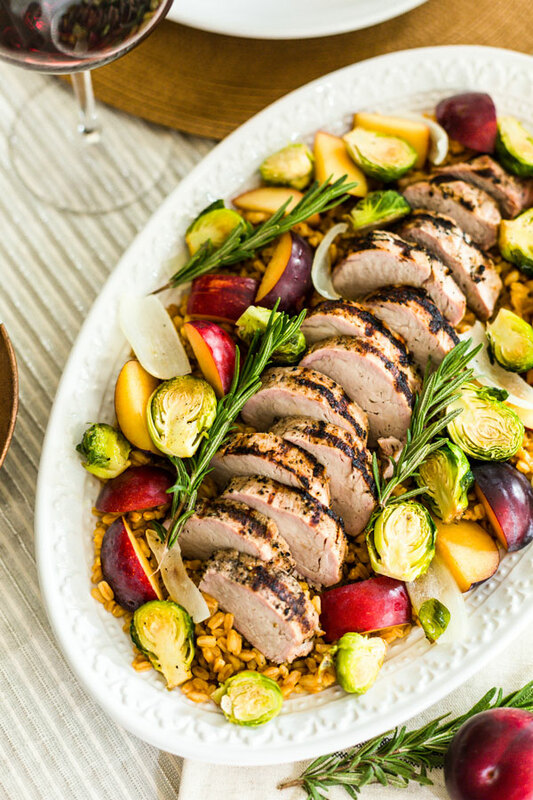 Because pork is a lighter meat, the lighter fruit flavors of Pinot Noir make it one of the best pork BBQ wines. Pinot Noir and pulled pork work well, too, even though pulled pork is deliciously fatty. While Pinot Noir is lighter in tannin, it gushes with refreshing acidity to “cleanse” the palate. That acidity knits together nicely with the perky vinegar elements of pork barbecue sauces, too. Full-flavored rosés, like the Grand Reserve Rosé, are also great pairings for pork barbecue with vinegar sauces. Other light reds, especially those that can take a touch of a chill, pair well with pork barbecue, too. The Vintner’s Reserve Red Blend is a prime example of a good wine pairing for BBQ pork. In fact, its complexity from the blended grape varieties makes it one of the best wine pairings for pork baby back ribs. Barbecued chicken can take on many different wines, depending on the ingredients used with the chicken. Chicken cooked on the grill and basted with barbecue sauce – especially tomato-based sauces – is a brilliant pairing with mid-weight reds that don’t taste too oaky. The red Vintner’s Reserve wines pair well with smokier sauces. BBQ chicken glazed with fruit sauces pairs well with dry rosé wines as do whites with a hint of sweetness, like the Vintner’s Reserve Riesling. However, BBQ chicken with fresh herbs and lemon calls for brisker wines, like Sauvignon Blanc. Chicken barbecued on the grill will have some smoky flavor to it, so make sure it’s a fuller-flavored variation, such as the Grand Reserve Sauvignon Blanc or the Grand Reserve White Meritage blend of Sauvignon Blanc and Sémillon. The best wines with seafood vary quite a bit because there are so many flavors and textures within this category. 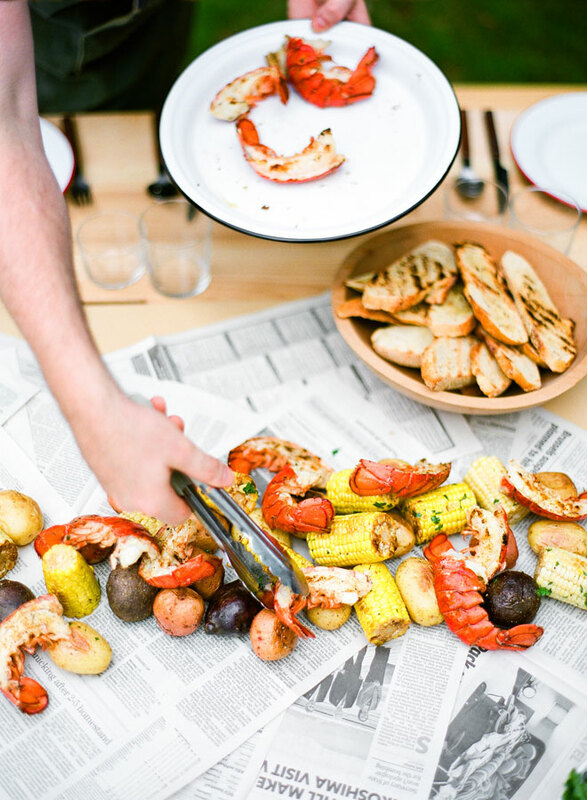 White wine with grilled seafood is the default, and dry rosé wine with grilled seafood is a winner, too. For shellfish, stick with white and rosé wines. The fusion of shellfish and red wine produces an unpleasant metallic taste. However, red wine with fish can work, though with only a few kinds of fish. Specific suggestions follow below. Shrimp are sweet, succulent shellfish. 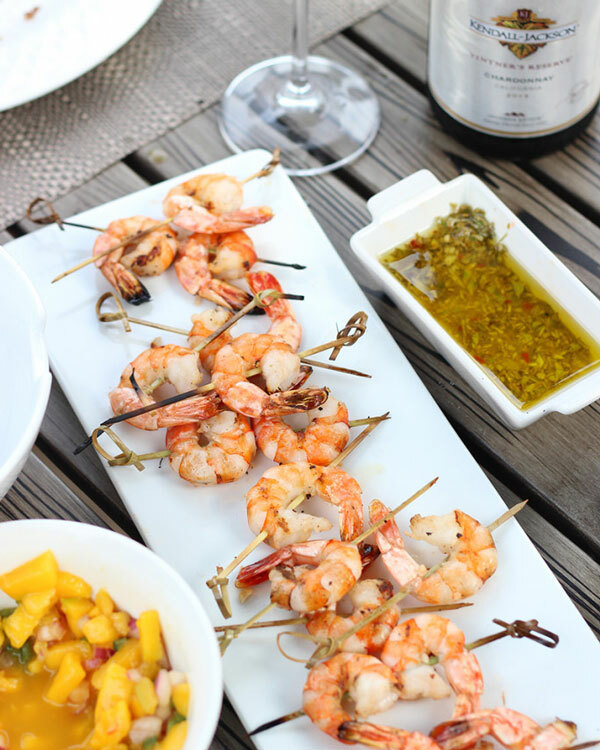 Grilled shrimp pairs well with whites and rosés, but what wine goes best with grilled shrimp will be determined by seasoning, sauces and accompaniments. Grilled shrimp with tomatoes and smoky tones play best with the red fruit tones of dry rosé. Skewering the shrimp with fruit then grilling? An off-dry white wine like the Vintner’s Reserve Riesling or Muscat (a bit sweeter than the Riesling) are optimal matches. If the grilled shrimp will top a salad, opt for an herbal Sauvignon Blanc to meld with the greens. If you’re keeping it simple with just a baste of butter, salt and pepper, there’s nothing like the creaminess of a Chardonnay, especially one that shows some toasty new oak character. What wine goes with fish? Well, the best wine pairing with fish starts with the type of fish. Sturdy fish that don’t qualify for the fish “steak” category pair best with mid-weight white wines like Pinot Gris. However, meaty, steak-like fish such as tuna can stand up well to grilling and can work nicely with lighter, brighter reds like Pinot Noir. Fish that float in the middle, like salmon, pair well with richer whites – especially oak-accented Chardonnay. Yet, because salmon is so malleable, it can work with a wide variety of wines. Check out my previous post on wine pairings with salmon to fully explore the possibilities. In the end, as with any grilled food, seasonings, sauces and accompaniments should be considered for wine pairings with fish. Luckily, however, many fish are served with little more than a squeeze of lemon. Like shrimp, lobster and scallops have sweet “meat”. These shellfish are often grilled with nothing more than butter and some zesty lemon, and that’s a combination that screams for a nicely oaked Chardonnay, like the Kendall-Jackson Grand Reserve or Jackson Estate Chardonnay wines. Additionally, in the spirit of more casual dining, Chardonnay’s toasty and buttery tones also make a sublime wine pairing for a lobster roll! Pairing wine with hot dogs and sausages can be as easy or as complicated as you’d like. Most hot dogs and sausages lean to the sweeter side. It might surprise you, but a lot of white wines work very well here! If you think about it for just a moment, it will make sense. Lots of wieners and sausages are blends of lighter meats. There’s lots of pork as well as turkey and chicken. Also, veggie and tofu hot dogs work well with white wines. Unless, you’re serving beef “dawgs”, the flavor of most hot dogs as well as meatless dogs tends to be neutral. Whatever is piled on top of them creates the flavor architecture. Moreover, so many of those add-ons are sweet: ketchup, relish, roasted onions, etc. For this, Pinot Gris is the ultimate hot dog wine. Its fruit is subtle, and it has just enough body to absorb the fat of the dog or sausage and the sweetness of the bun. For spicy Italian sausages, beef hot dogs and chilidogs, red wines are the best pairing. Wines with supple, easy-going tannins and lots of berry fruit juiciness are the key. Merlot, Zinfandel and red wine blends make excellent pairings for hot dogs and grilled sausages! Like with hot dogs and sausages, wine pairings with hamburgers can go many directions depending on the burger’s blend and its toppings. As long as the tannins are mild and the new oak influence is minimal, just about any red wine will work. 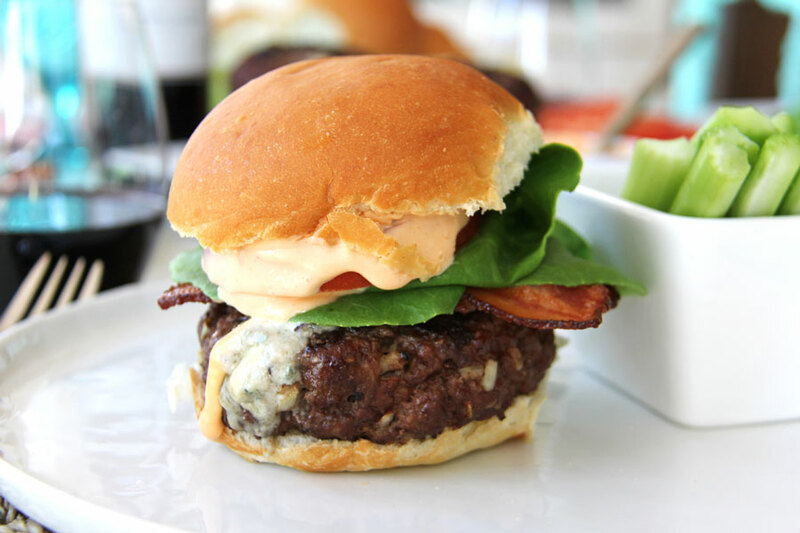 Nonetheless, if you like your burger well-done or charred on the outside, you can match up your hamburger to oakier and fuller-bodied reds like Cabernet Sauvignon (put this pairing to the test by recreating Jo-Anna Rooney’s Blue Cheese Stuffed Burgers with Buffalo Wing Mayo). As a general rule of thumb, however, wines that pair well with spicy sausages, beef hot dogs and chilidogs also match seamlessly with hamburgers. The toppings and the bun are pretty much the same. Whether veg and fruit make up a substantial portion or your diet or they are just an accompaniment, there’s no question that summer is the time to indulge in the seasonal produce. Even if they aren’t prepared on the grill, chances are they’ll be on the table at your barbecue. Check out my guide to pairing wine with summer fruits and veggies here! 2) How are you serving your carefully chosen wines? 3) How will you keep your wines at the right temperature based on your ultimate serving location? If you’re hosting your BBQ at home, you’ve got more flexibility. If you’re transporting your BBQ feast along with your wines (and glasses), it’s worth making a checklist. Don’t forget the wine opener if your bottles aren’t closed with screwcaps! Whether you’re serving wine at home or away, non-breakable glasses are a winner. Fortunately, you don’t have to retreat to your college days of SOLO cups. Shatterproof options like the Govino glass are compact yet elegant. (Just be sure you hand-wash them as the water in some dishwashers is hot enough to shrivel them!) Moreover, if you just can’t let your inner geek have a day off, Govino also makes decanters! A pricier option is the Corkcicle Metallic Stemless Glass, which will also keep your beverage from overheating. Speaking of which, while it’s obvious that whites and rosés should be chilled, they can be too cold, especially after swimming for hours in the ice bath of your cooler. The good news, however, is that your wines won’t stay ice cold once they’re in the glass, assuming the weather is balmy. In fact, it’s more important to consider the serving temperatures of your red wines when sipping outdoors in the summer. The ideal serving temperatures for red wines range between 60-65° F. (Lighter reds can also be a bit cooler while heavier reds can be a bit warmer.) So, when it’s 80° F in the shade, you definitely need to drop the temperature of reds or they’ll end up tasting flat and even leaden. Want to see for yourself? Check out some concepts of wine temperature control. If you’re venturing away from home, a great way to keep reds at the right temperature for an hour or two is by using a chilling sleeve. Another trick is to pour your wine into an insulated bottle, like the 25-ounce S’well bottle, which perfectly fits a bottle of wine! Corkcicle also has many stylish 25-ounce options. Corkcicle offers one other option: an in-the-bottle chiller that doubles as a pourer. Stick this cooling “icicle” right into the bottle. It doesn’t cool as quickly as a sleeve as it touches less surface area of wine, but it’s less bulky and allows you to see the names of the wines you’re serving. Naturally, these two tricks work for whites, too, though they may not keep the wines as crisply cool as you’d like on warm days. Hopefully this premier guide to picking and serving the best wines for a barbecue answers your questions! If not, we’re here to help. Your fellow readers might have the same questions, too. If we’ve got you covered, we’ll just sign off with a hearty “Cheers! For more wine pairings tips, visit our entertaining page.